The world today is constantly buzzing, making it tough to get a moment to yourself. Between work and home life, it seems there's always something to get done. This is why finding some time to relax and take care of yourself is super important. A bit of time where you kick back and take things easy can work wonders on the mind and body. Right now, it's a wonderful time to dial up your relaxation with some time outdoors. The cooler air and the sweet sounds of nature have a way of washing over you and taking all your worries away with them. One great way to enhance the all-around relaxing atmosphere is to blend your outdoor meditation with a bit of Tetris! Going outside to relax is definitely a wonderful feeling. Taking your physical body away from the hustle and bustle is a big part of getting your mind back on track. That said, sometimes it can be hard to shake all your negative thoughts away. Our heads get cluttered with the chores we have ahead of us, the work awaiting us the following day, and the scheduled appointments we have to keep. This is where grabbing a few rounds of Tetris can work wonders. Playing Tetris is a fantastic way to get your mind to move on from all your troubles. When your thoughts keep pounding away at you and don't let you enjoy the wonderful outdoors, playing Tetris can help distract you. Tetris is a game deep enough to require attention, yet simple enough to not stress you out. It'll help put your mind in a state when it better matches up with your body. You'll feel great on the outside, and Tetris will help calm you down on the inside. There's something so interesting to the dichotomy of playing Tetris outdoors. On one hand, you're immersing yourself in mother nature. You hear the sounds of the critters around you, feel the air rush over your body, and get to take in the zen of it all. 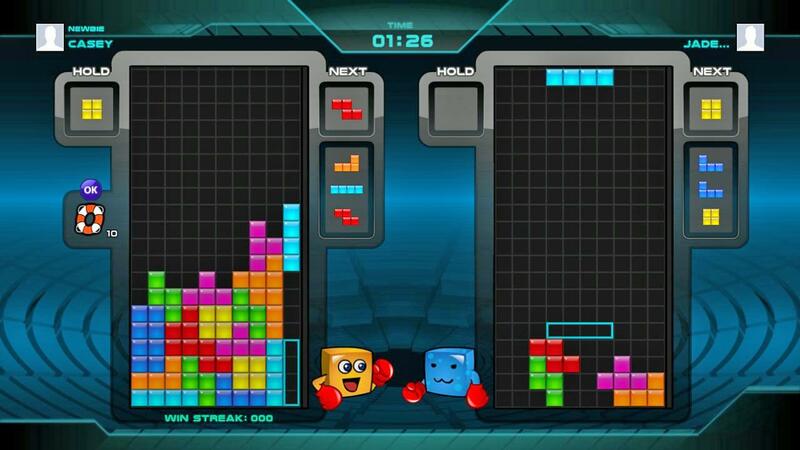 Then there's Tetris, which uses all sorts of sophisticated technology to provide you with an electronic experience. Mixing the two seems like it wouldn't work, but somehow they go together so well. It's about mixing a bit of the outside world with the modern elements of today. 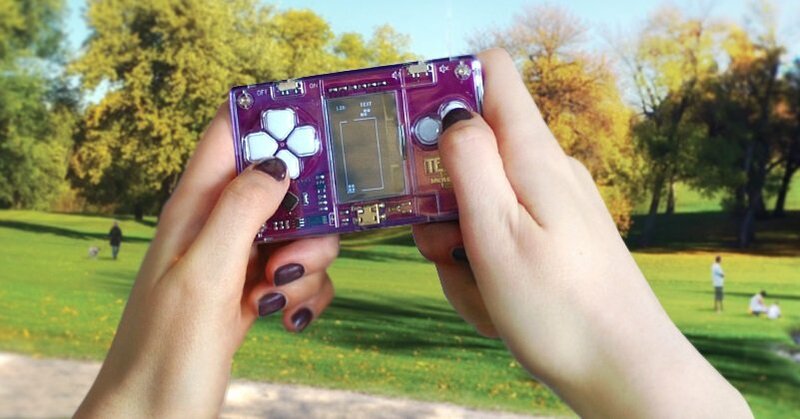 If you're looking to give Tetris outdoors a try, find the mode you are most comfortable with. Crank the difficulty down as far as it'll go. You're not looking to get into a big challenge which causes your hands to twitch or your forehead to sweat. You want something which keeps your attention, yet let's you also enjoy the world around you. Something to give you a constant, yet pleasant backdrop to your current circumstances. Then, make sure you turn off the volume completely. You want a beautifully silent game of Tetris, mixed with the noises of the outdoors. A lot of people play video games to rid themselves of stress. There's something to be said for coming home from a hard day at work and escaping into a fantasy world where you can be whoever you want. The same thing goes for Tetris, but the entire experience is only heightened from a bit of outdoor play. You sit outside, a tiny spec in the grand scheme of it all, lucky enough to take it all in. In your hands is a game of Tetris on the Tetris MicroCard, an entire universe where you're in complete control of everything heading your way. It's a pretty amazing thing to experience, truth be told. Why not grab a laptop and head out on your deck for some Tetris fun? You can play for free on Tetris.com!